Russian Foreign Ministry spokeswoman Maria Zakharova said that the Netherlands is apparently seeking the destruction of any ties with Russia. Her comments came after Amsterdam opted to accommodate US tanks and a recent ruling on Crimean treasures loaned to a Dutch museum. Earlier this month, the Dutch reopened its 500,000-square-feet storage facility in Eygelshoven to house over 1,600 US units. 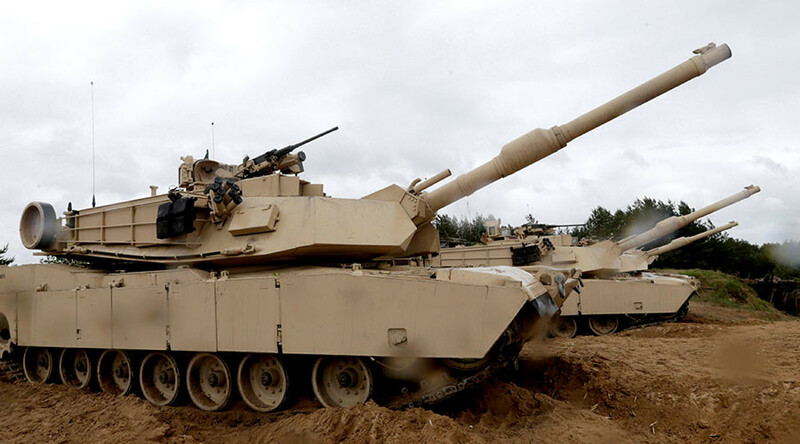 Three years after the last American tank left Europe, M1 Abrams Tanks will now be stationed in the Netherlands along with a fleet of M109 Paladin Self-Propelled Howitzers. Russia criticized the Dutch move to reopen the storage facility as counterproductive to bilateral relations. “We couldn’t help but notice the reports about the resumption of work at a US military advanced storage facility, with US arms and heavy military equipment, including tanks, infantry carriers, and self-propelled artillery,” Foreign Ministry spokeswoman Maria Zakharova said in a statement. 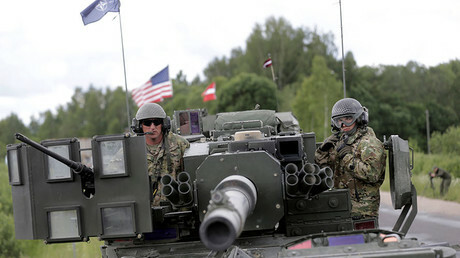 Russia has every reason to worry about the buildup of NATO forces in Europe. Earlier this month, US Congress passed the National Defense Authorization Act (NDAA), which approved a $3.4 billion budget to boost European defenses, part of which will be used to set up five storage sites in the Netherlands, Poland, Belgium, and two in Germany, under Army Prepositioned Stocks. Zakharova noted that the implementation of such plans is an “indication that the Netherlands is at the forefront of NATO activities,” outlined in the latest NATO summits, appeared to be loaded with anti-Russia posturing. “Under the guise of a mythical ‘threat from the East’, the Hague is participating in air, sea and land-based components of the expanding military presence of coalition forces near the Russian border, such as patrolling the airspace of the Baltic countries and the NATO multinational battalion in Lithuania. The Netherlands has made its territory available for storing US nuclear weapons in Europe,” the spokeswoman said with regards to the Russian position on Dutch actions. Besides allowing the storage of American military hardware, Moscow has also criticized a Dutch court decision which ruled that some 565 pieces of Crimean treasure belong to Ukraine. In March 2014, following the coup in Ukraine, the Crimean peninsula became part of Russia, and the artwork fell hostage to a legal ownership battle. Earlier this month the Dutch court ordered the works to be returned to Museum of Historical Treasures of Ukraine, in Kiev, rather than the museums in Crimea that lent them to Netherlands. “The unfair and unjust ruling by the District Court of Amsterdam ... in our opinion, puts an end to The Hague’s cherished ambitions of establishing itself as the legal capital of the world,” she said. “It seems that the Dutch leadership has acquired a taste for their rampant efforts to intentionally destroy their country’s relations with Russia. Now, it is reinforcing its belligerent anti-Russian policy with ‘hardware’,” the spokeswoman said.